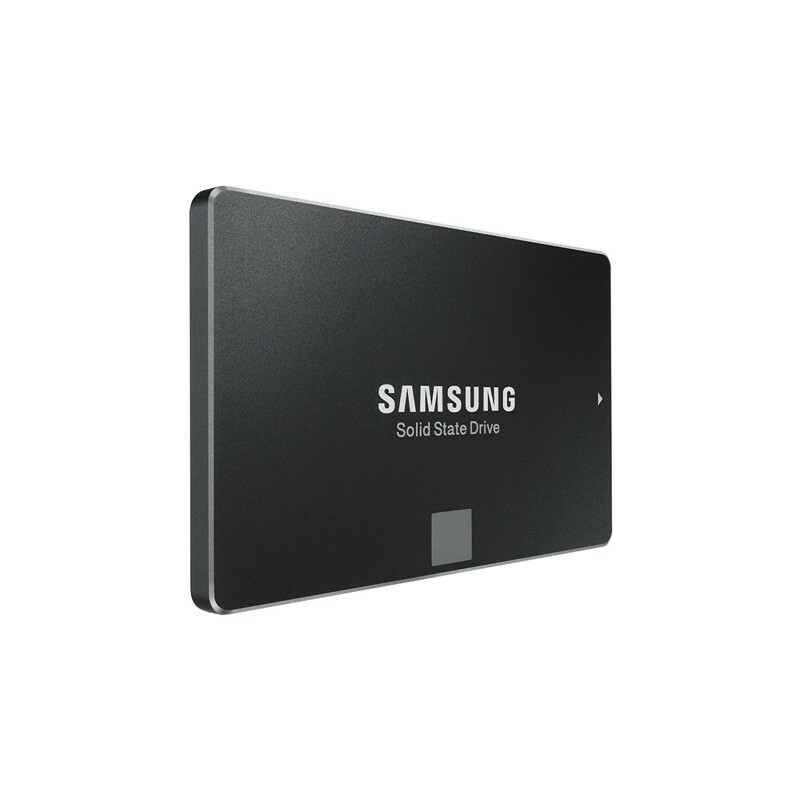 Upgrade virtually every aspect of your computer's performance with Samsung's new 850 EVO, designed with state-of-the-art SSD advancements including 3D V-NAND technology. As the next generation beyond the bestselling 840 EVO, you'll get the 850 EVO's new 3-dimensional chip design that enables superior performance, greater reliability and superior energy efficiency so you can work and play faster and longer than ever before. 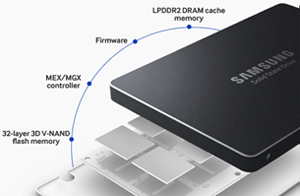 Samsung's innovative 3D V-NAND flash memory architecture breaks through density, performance, and endurance limitations of today's conventional planar NAND architecture. 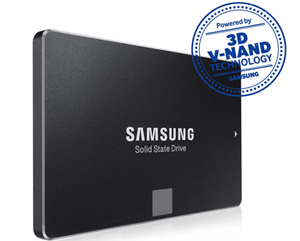 Samsung 3D V-NAND stacks 32 cell layers vertically resulting in higher density and better performance utilizing a smaller footprint. The 850 EVO doubles the endurance* and reliability** compared to the previous generation 840 EVO** and features a class-leading*** 5 year warranty. With enhanced long-term reliability, the 850 EVO assures longterm dependable performance of up to 30% longer than the previous generation 840 EVO. 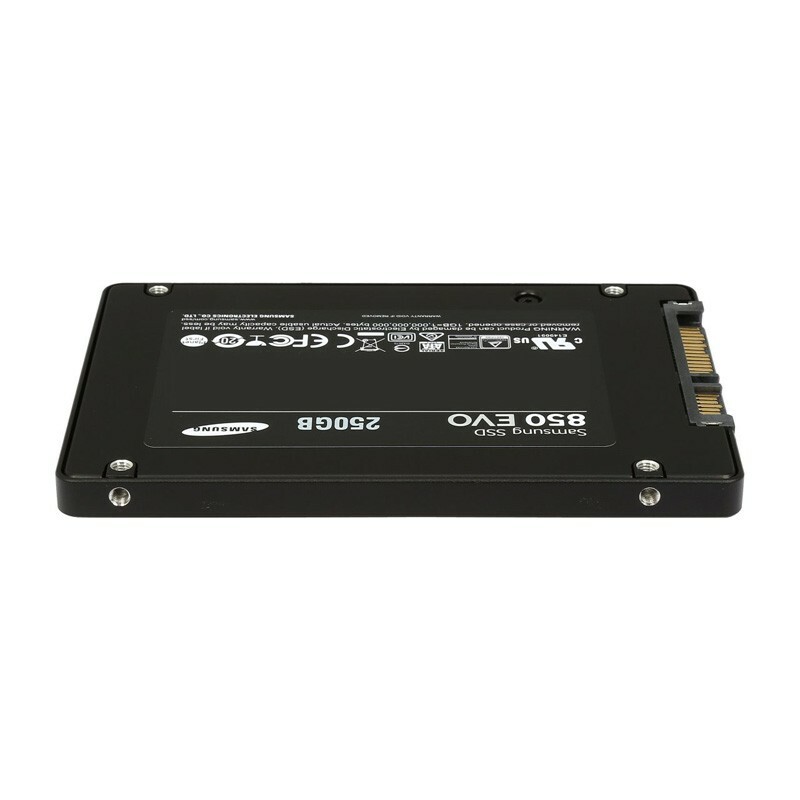 The 850 EVO delivers significantly longer battery life on your notebook* with a controller designed and optimized for 3D V-NAND that supports Device Sleep for Windows at a highly efficient 2mW. The 850 EVO supports 25% better power efficiency than the 840 EVO during write operations thanks to ultra-efficient 3D V-NAND only consuming half the energy than that of traditional Planar 2D NAND. 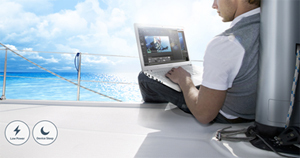 The 850 EVO comes fortified with the latest hardware-based full disk encryption engine. 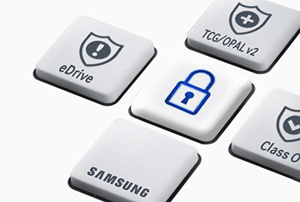 The AES 256-bit hardware encryption secures data without any performance degradation and complies with TCG Opal 2.0. Easily integrate into Windows with Microsoft e-drive IEEE1667 to keep your data protected at all times. 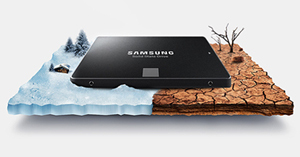 The 850 EVO's Dynamic Thermal Guard constantly monitors and maintains ideal temperatures for the drive to operate in optimal conditions to ensure the integrity of your data. The Thermal Guard automatically throttles temperatures down when temperatures rise above optimal critical threshold. 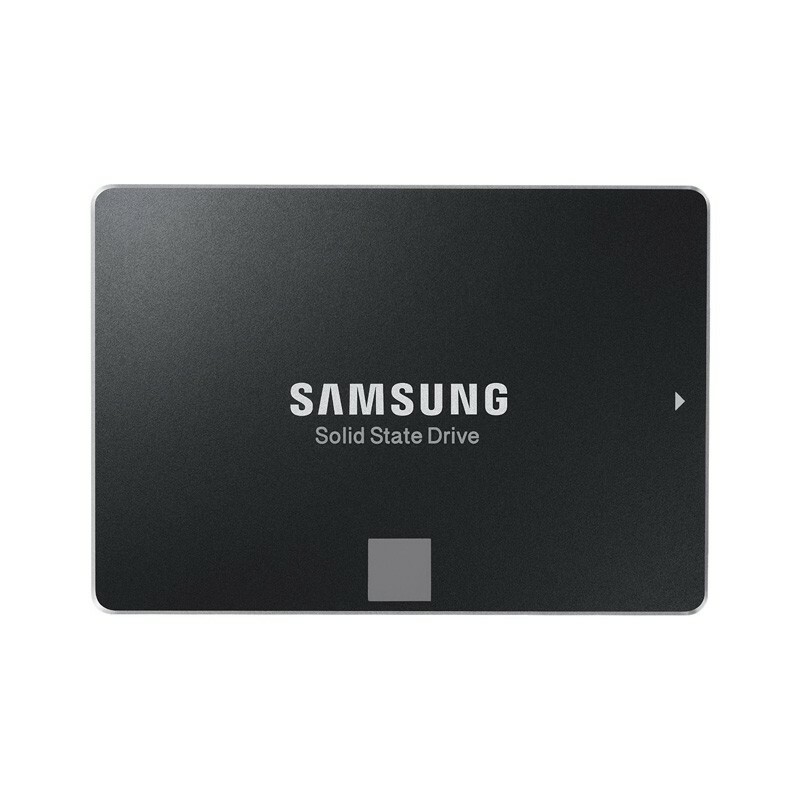 This protects your data while maintaining responsiveness to help ensure your computer is always safe from overheating. 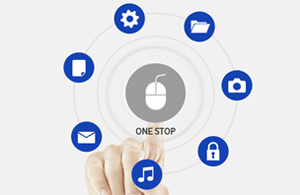 In three simple steps, the Samsung One-stop Install Navigator software easily allows you to migrate all the data and applications from your existing drive to the 850 EVO. 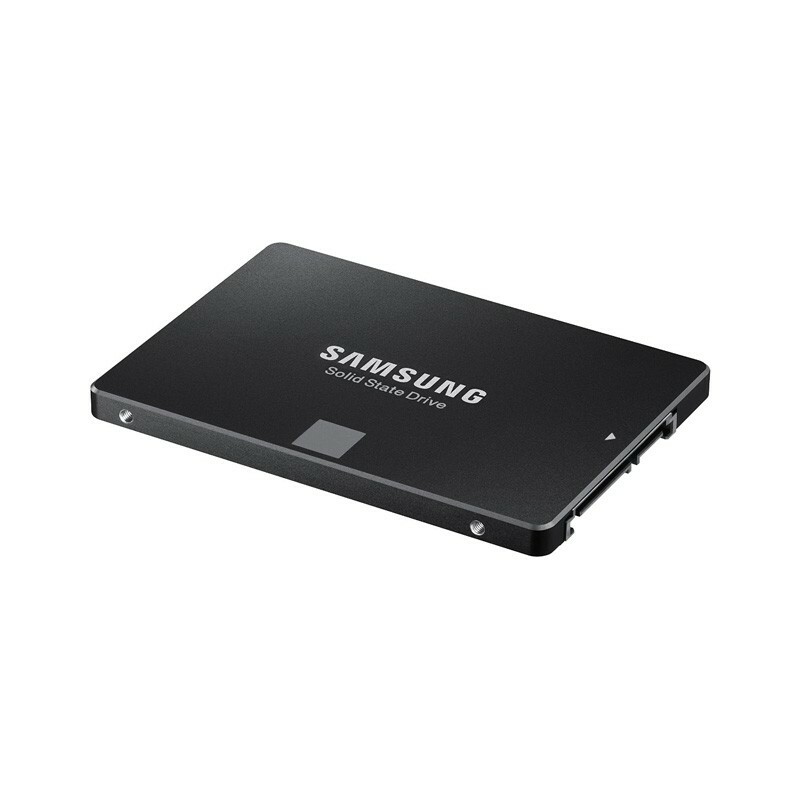 The included Samsung Magician software also allows you to setup, optimize, and manage your system for peak SSD performance. 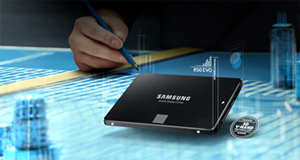 Samsung is the only brand to design and manufacture all its components in-house, allowing complete, optimized integration. 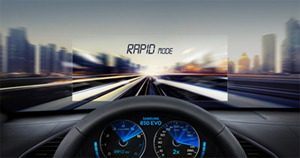 The result – the rock-solid EVO 850, with enhanced performance, lower power consumption with an up to 1 GB LPDDR2 DRAM cache memory and improved energy-efficiency with the MEX/MGX controller – all from the #1 memory manufacturer in the world. TRIM(Required OS support), Garbage Collection, S.M.A.R.T. © 2014-2019 DealsADay Inc. All Rights Reserved.